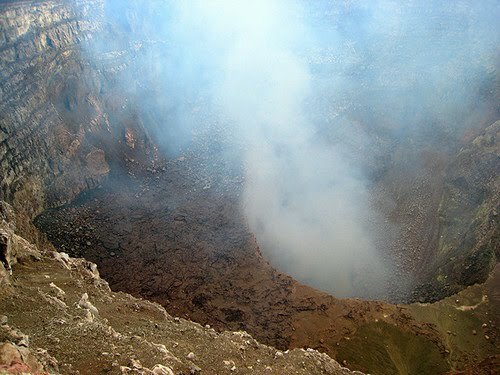 The Masaya Volcano is an active volcano a few kilometers down the highway from Masaya. It is visible from most places in Masaya. It continually bellows sulfurous smoke and has lava with a visible red glow during the night.